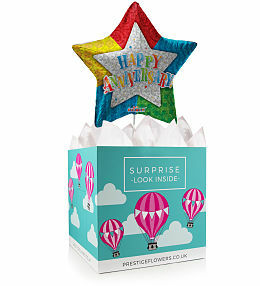 No matter the occasion, you can never go wrong with balloons! 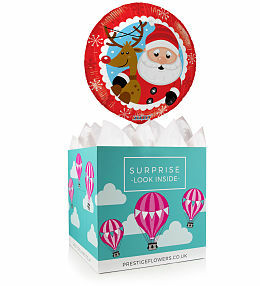 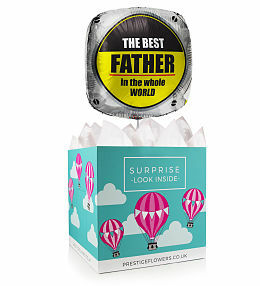 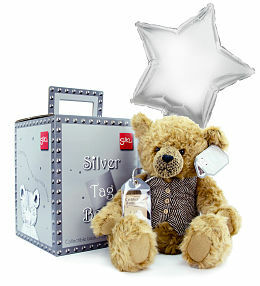 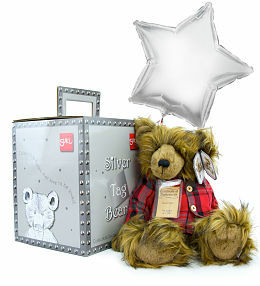 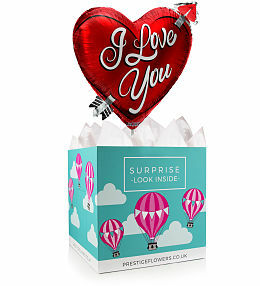 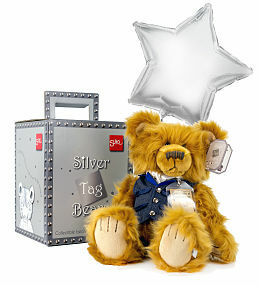 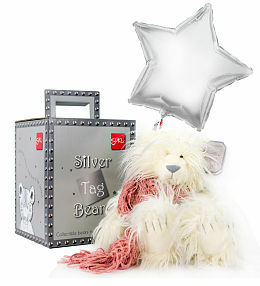 This is why we are proud to present our fantastic Balloon in a Box Gifts. 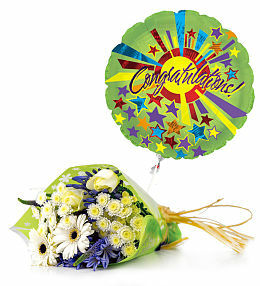 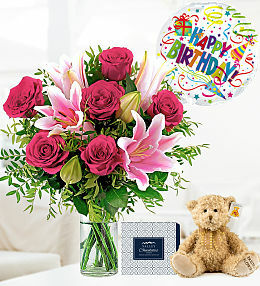 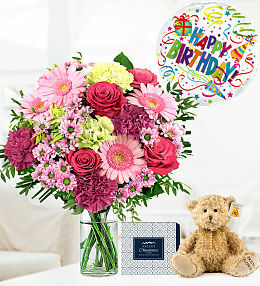 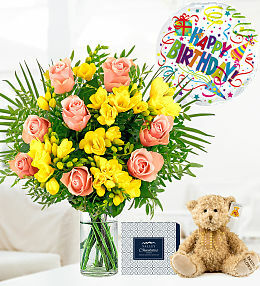 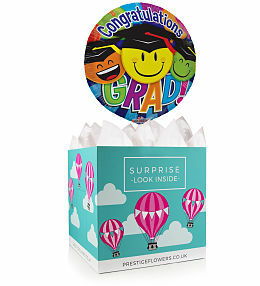 A balloon gift delivery is perfect for birthdays, anniversaries, celebrating a graduation, or any other occasion. 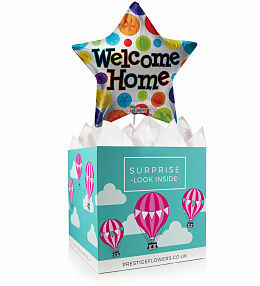 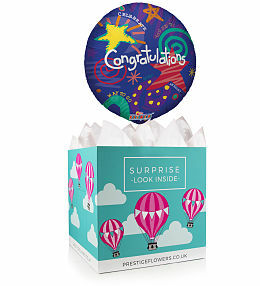 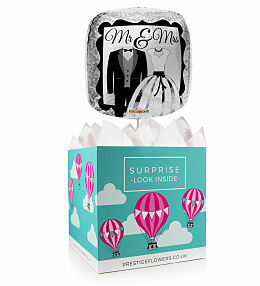 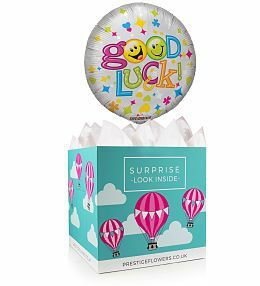 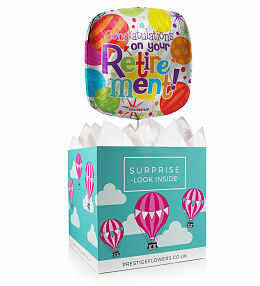 Each 18-inch helium balloon comes with a decorative box lined with tissue paper. 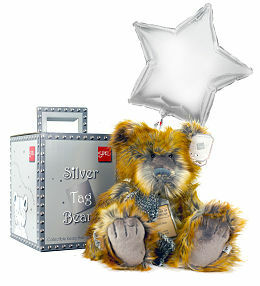 We also offer a wonderful variety of optional extras including wine, chocolates, cake, and cuddly bears. 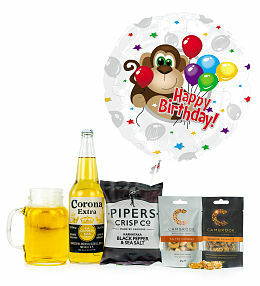 Choose the balloon gift to suit the occasion and recipient. 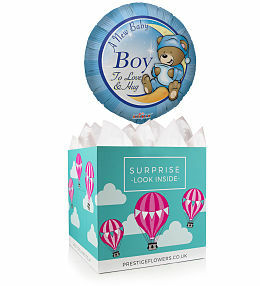 We even have special balloons to mark milestones like the arrival of a new baby. 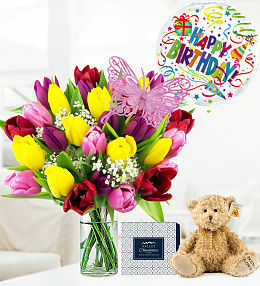 Take a moment to write something special and we will be sure to include your personal message too. 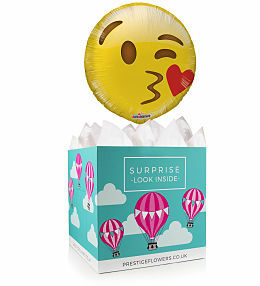 Send a birthday balloon, anniversary balloon, Mother&apos;s Day balloon, Valentine&apos;s Day balloon, or a balloon for any occasion from our wide selection. 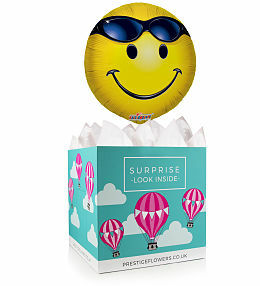 When you send a balloon in a box gift, you can be sure that it will create a lasting impression! 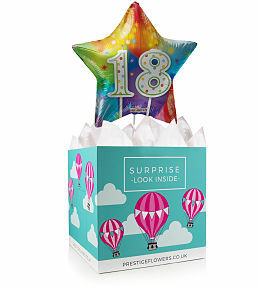 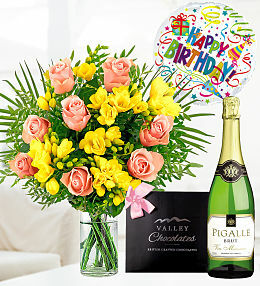 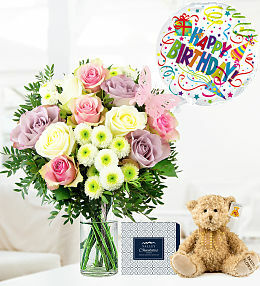 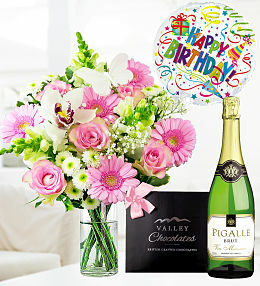 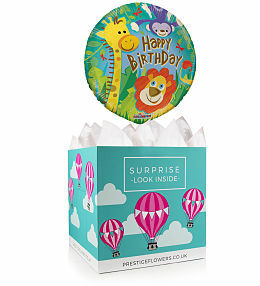 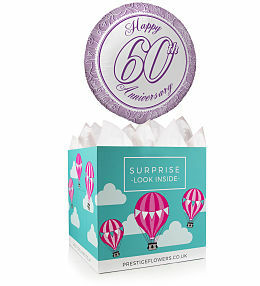 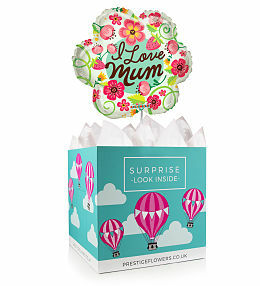 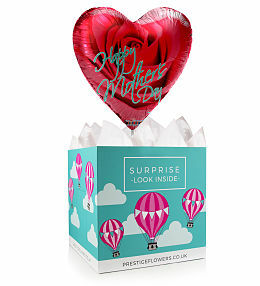 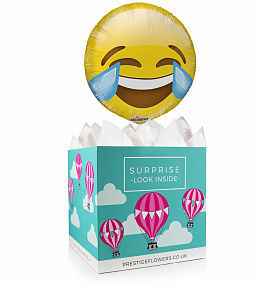 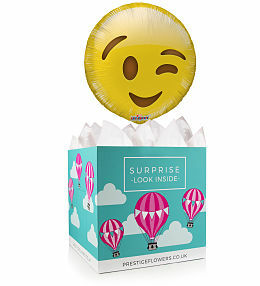 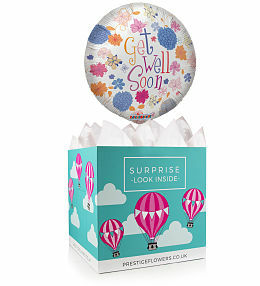 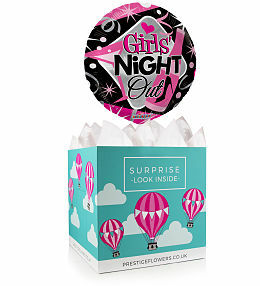 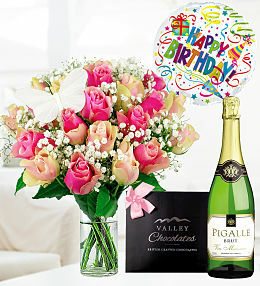 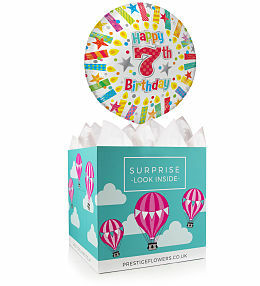 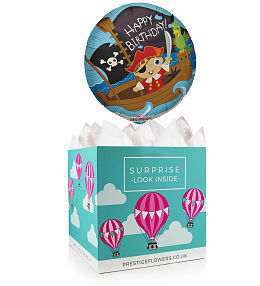 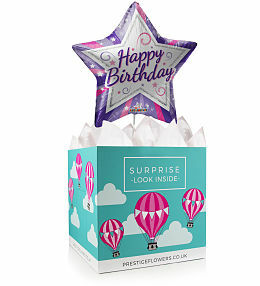 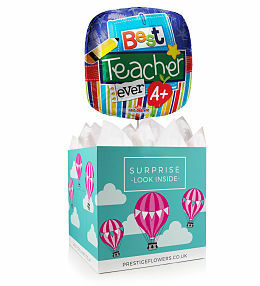 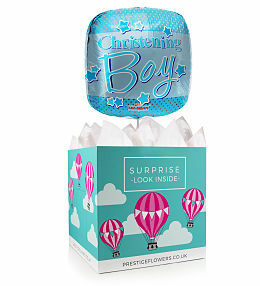 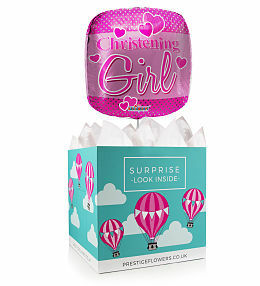 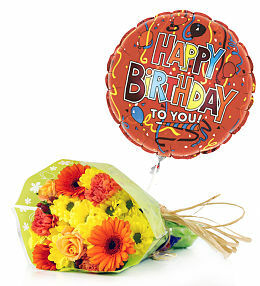 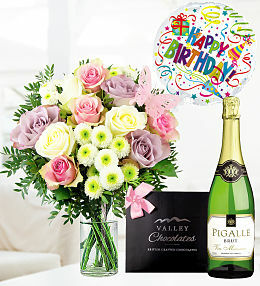 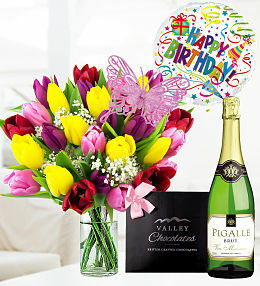 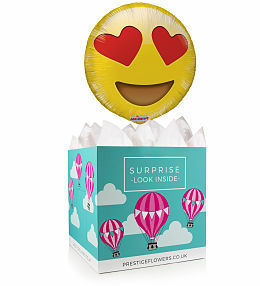 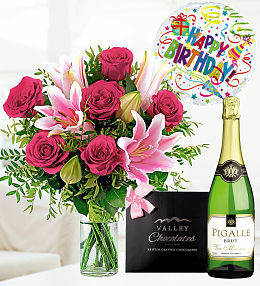 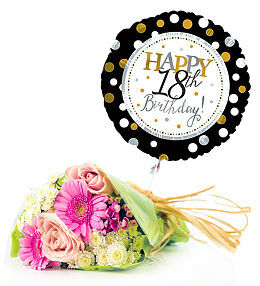 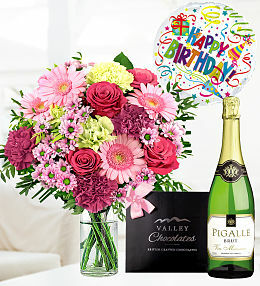 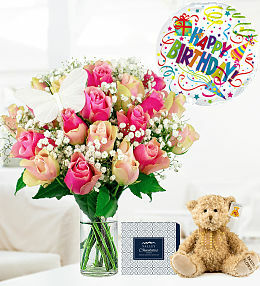 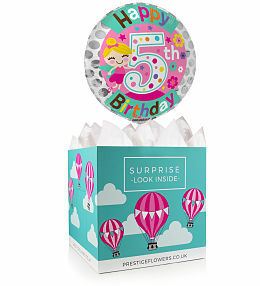 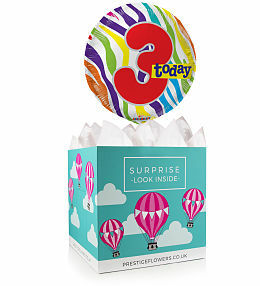 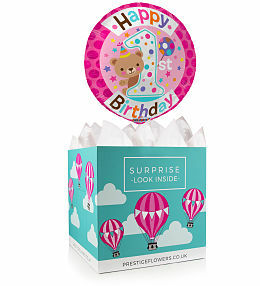 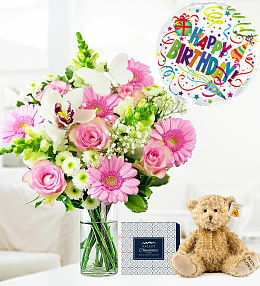 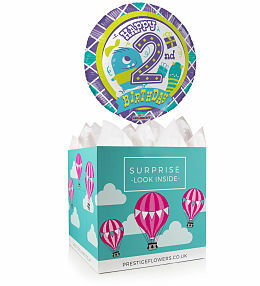 Celebrate a birthday by surprising them with this fabulous balloon in a box gift. 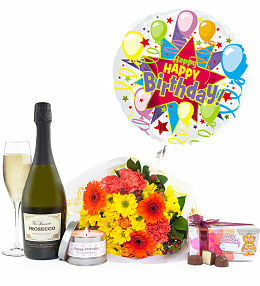 Take a look at our optional extras to make this gift truly memorable.